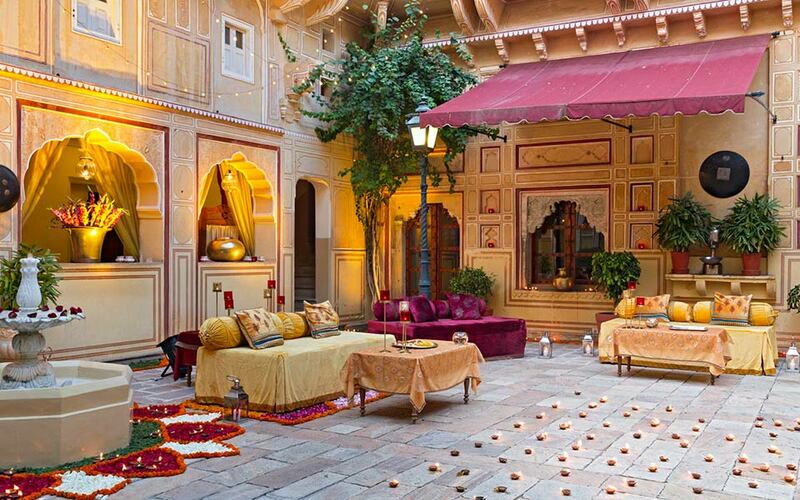 The Best Palaces & Hotels In Rajasthan For Your Royal Wedding! Every couple has a certain fantasy when it comes to their wedding destination. For some, they like the hills, for some it’s the hotels in the city. Then there are a few who imagine turning into royalty on their big day. 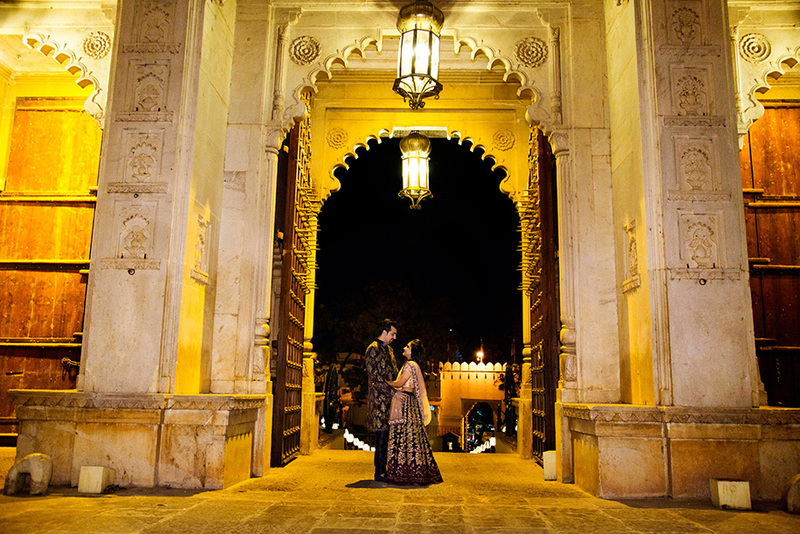 What is a better way than to get married in Rajasthan amidst the palaces, scenic lakes and the sweeping regalia. Every venue is a perennial jewel and manifests a charm of its own. Being the most preferred location for famous celebrity weddings, it provides no less than a fairy tale wedding experience. We bring to you the best venues in Rajasthan that showcases the epitome history and also offer the luxuries of the modern world. Imagine exchanging vows with your beloved, decked like a princess against a palatial backdrop. Set on the banks of the picturesque Pichola Lake, the white marble palace seems to float miraculously and offers the perfect setting for a royal wedding. With a spread of awe-inspiring lawns and princely inspired decor, it has rightly been declared as one of the most romantic palaces of the world. 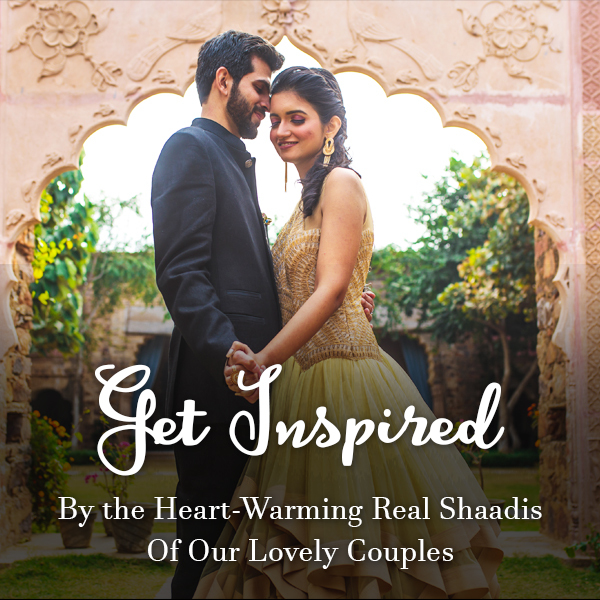 The elegant suites, bohemian crystal lights and intricate paintings helps in making your big day – an exotic lifetime affair! 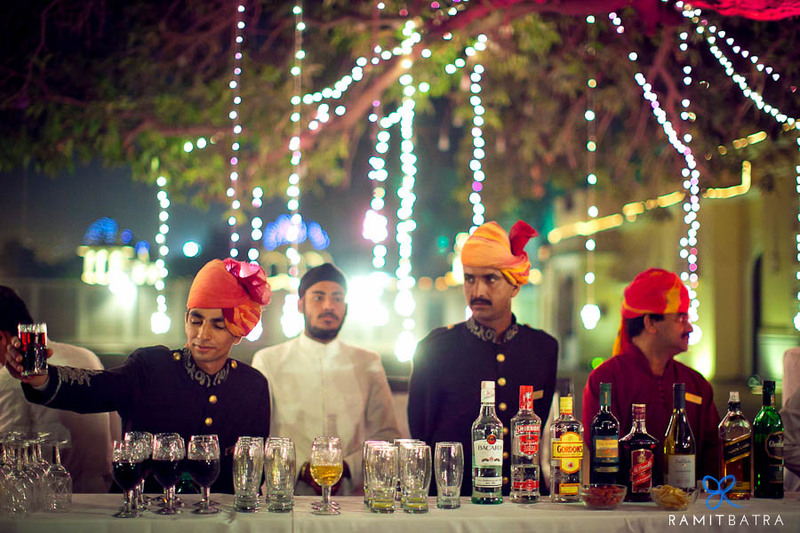 The organisers will be none other than the royal house of Mewar to make it an unforgettable experience. 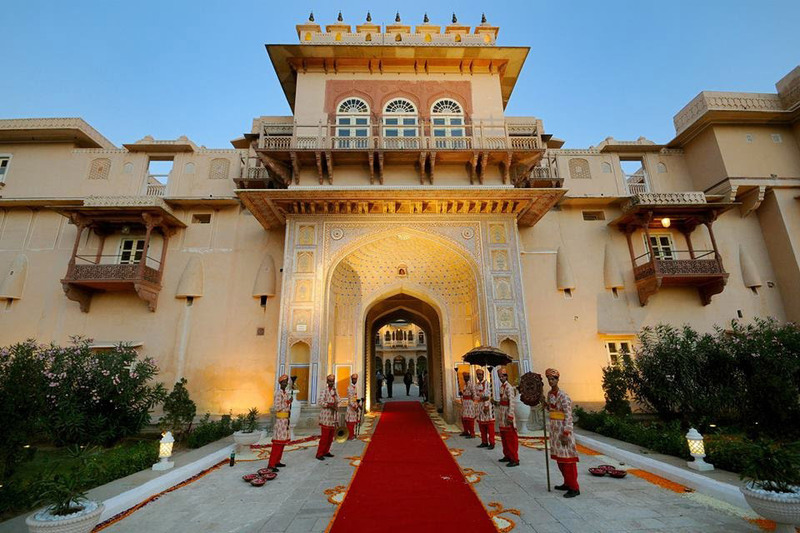 Chomu Palace marked as a premium heritage getaway is a 300 year old elegant fortified palace hotel located on the outskirts of Jaipur. 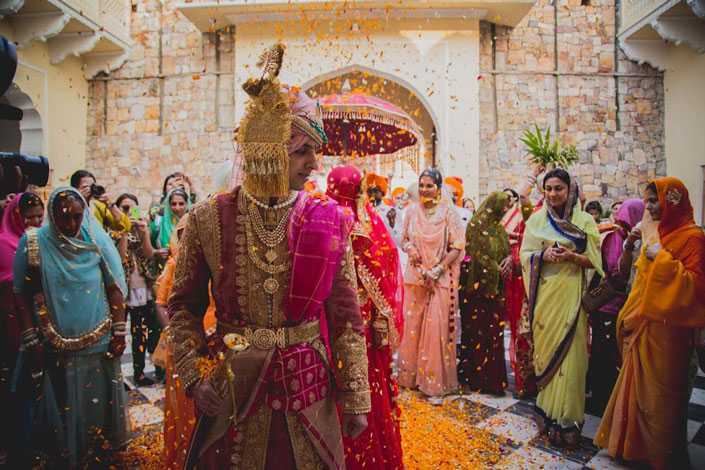 The fort revives the gracious lifestyle of princes of Rajasthan and the traditions of India and has become one of the most sought venue for destination weddings. The palace consists of 58 suites with a courtyard for grand gala events and the poolside for romantic settings for a cocktail reception. Situated on Chittar hill, the highest point in the capital city of Jodhpur, this luxury Taj property offers 64 breathtaking Art Deco style rooms and suites. 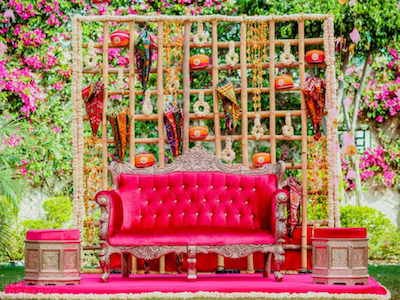 Set amidst 26 acres of lush greenery, the Baradari Lawns are ideal for the wedding reception you have always fantasized. 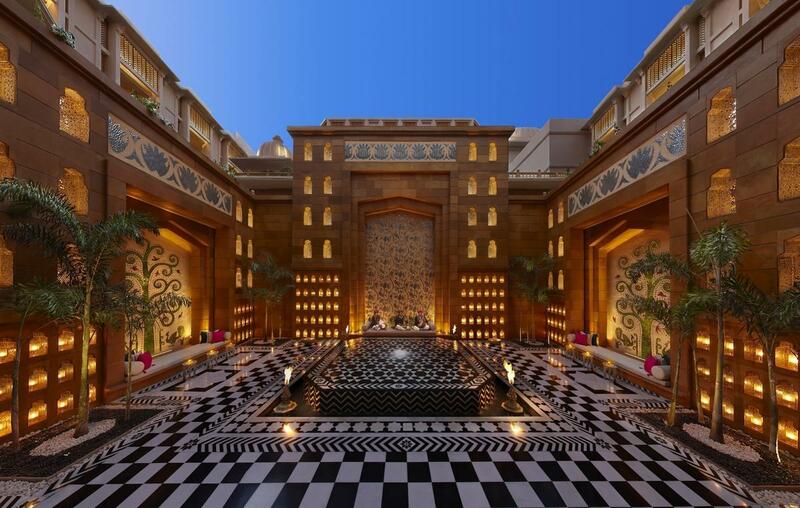 You can sink in the beauty of the historical blue city and the grandiose of this magnificent slice of Rajasthan ancestry – also, the world’s sixth largest private residence. 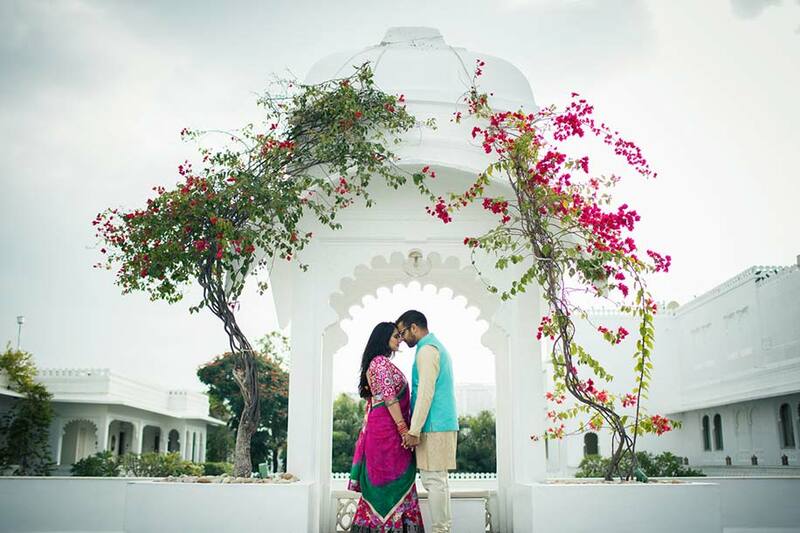 An incredible location for a destination wedding and the views of lake Pichola seen from 72 Grand heritage rooms is a perfect locale for a union. This resplendent palace in Udaipur is where you should check-in to feel like a modern-day prince and princess. Luxury awaits here with views of a starlit sky accompanied by Indian specialities at the Sheesh Mahal. Rated as the best wedding venue by New York Times, if you are looking for a private and intimate wedding, Udai Kothi is your pick. State-of-the-art construction, it offers it’s guests the best of both world; the erstwhile flame with the splendor of the modern world. The pure white exterior is extremely charming and just 3kms from the station, making it an ideal wedding location. Don’t forget to relax after the wedding madness and swim in Udaipur’s only rooftop pool. The boats ‘Barge Bahadur’ and ‘Jetty’ are absolutely romantic and will give you a one-of-a-kind experience, courtesy Udai Kothi. 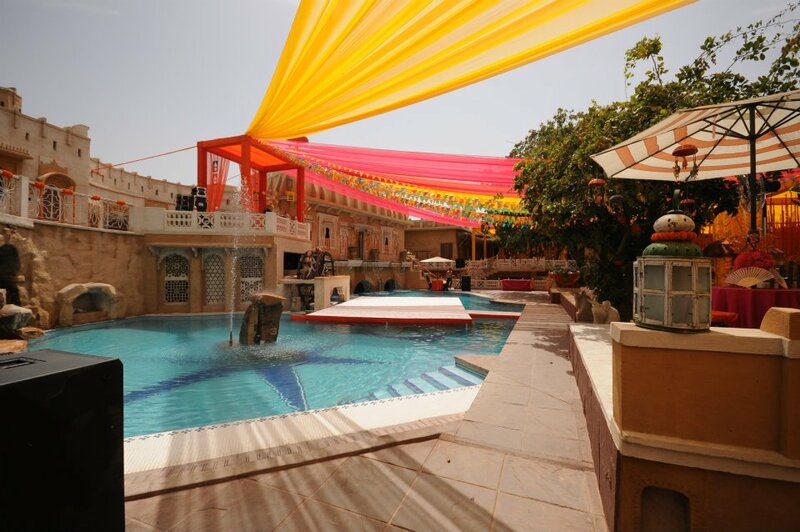 The hotel is remotely located in the barren lands near Jaipur, a little haven of opulence and grandeur, perfect venue for an intimate wedding. This customary palace hotel is 475 year old offering 43 spacious suites. Al fresco dining under the stars, wine and courteous attendants are some of the amenities and services that the hotel offers. For an exclusive and extremely private traditional wedding, Samode Palace is the place to be! 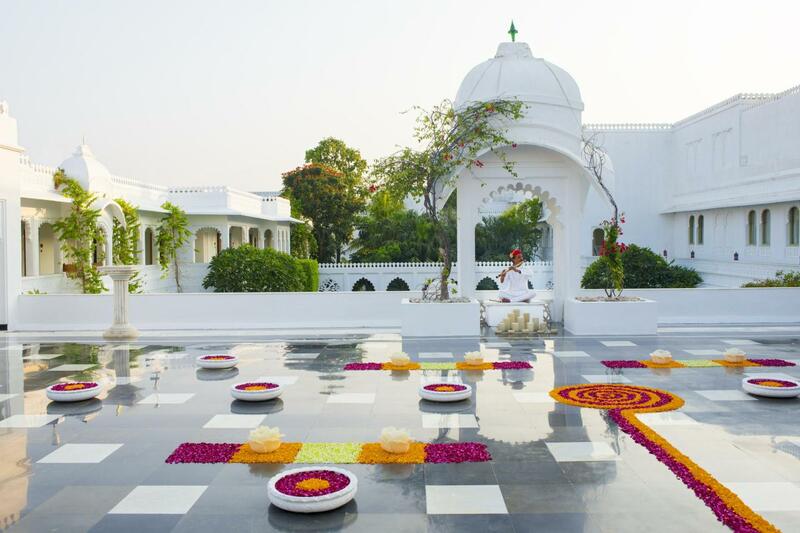 Referred to as the ‘Garden of Heaven’, this enchanting white mahal is as inviting as it is regal. 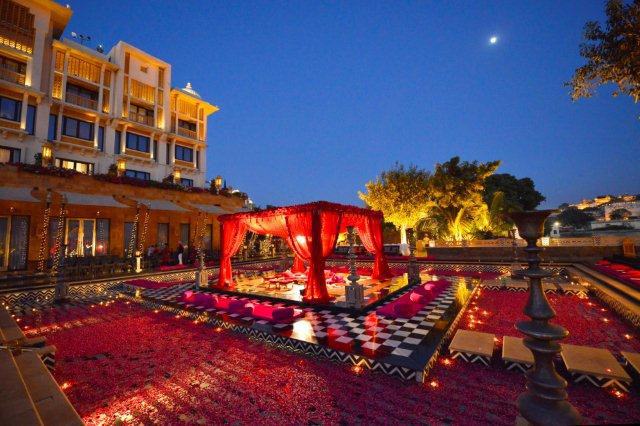 Situated in the middle of the lake Pichola, it is one of the most sought after wedding destinations of Rajasthan. The lake adds to the romantic atmosphere and is great to capture some exquisite pictures for you to cherish for a lifetime. 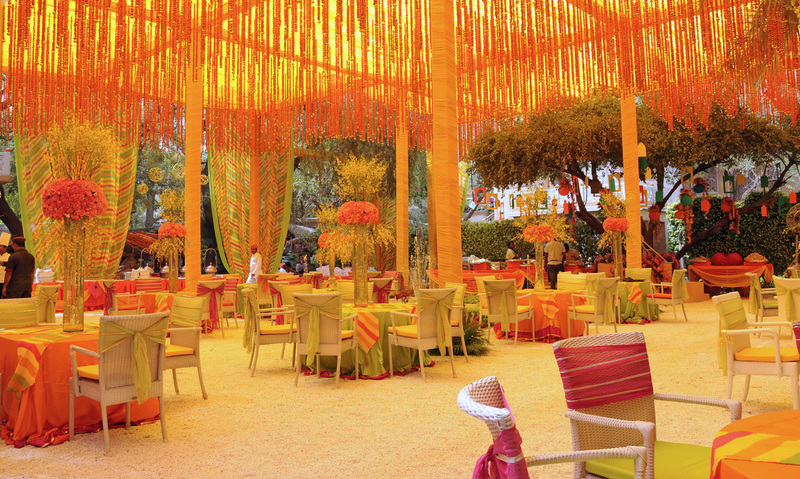 Kunwar Pada Chowk – where the wedding processions take place creates an imperial experience by offering the best. 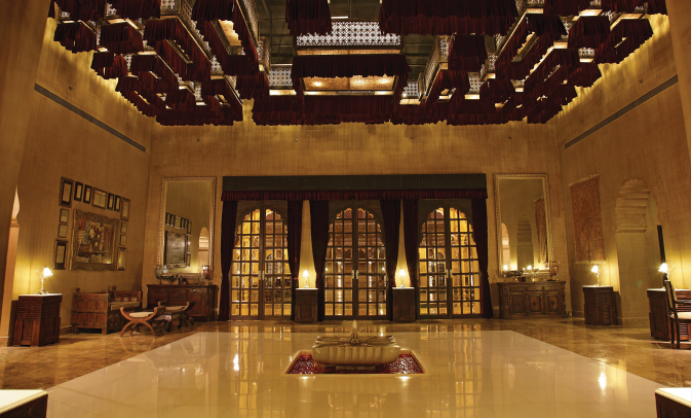 This jewel in the Taj’s crown offers 78 stunningly grand luxury suites which were the chambers of the former Maharaja. 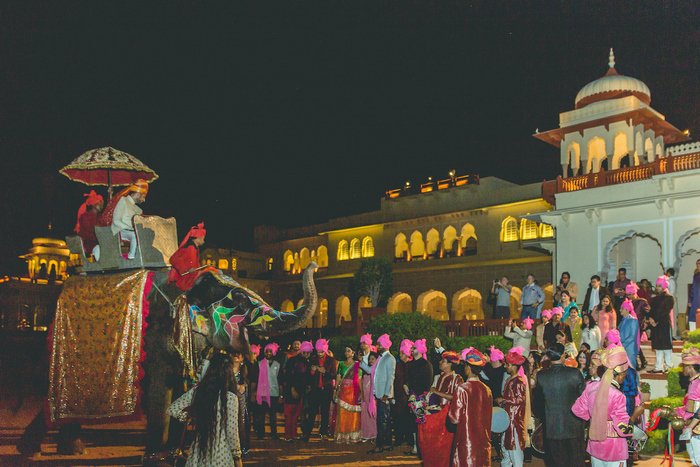 Offering a scenic backdrop, the Sawai Man Singh Function Centre is ideal for royal destination weddings. 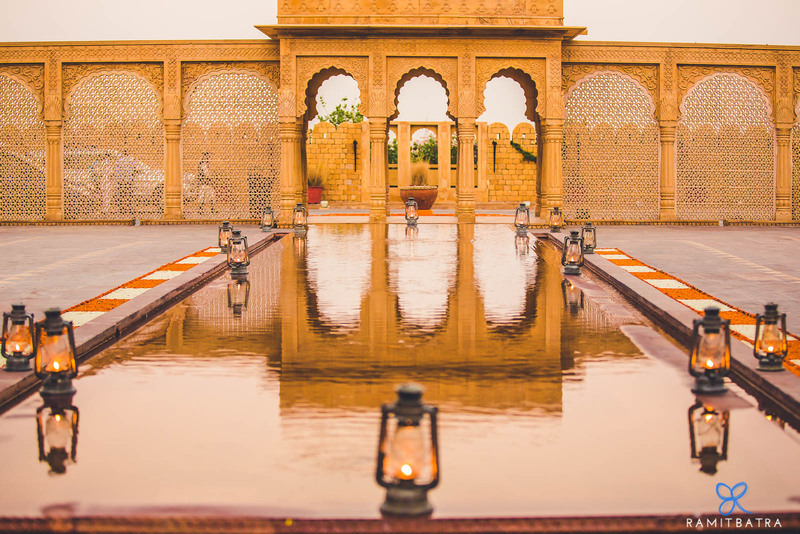 Experience the finest traditions of Rajput hospitality at this extravagant palace decorated with hand carved marble latticework capula and royal mughal gardens. Set amidst 18 acres of landscaped mughal gardens and perfectly located downtown in the heart of Pink City, Jai Mahal Palace hotel gives you a taste of the best Rajasthani heritage and culture. The Palace lawns are perfect to host your fairy tale wedding with a capacity for up to 2500 guests. Be ready to tie the knot in this luxury five star Taj property that offers unbeatable views of the city and palace gardens. Inspired by the Mughal dynasty and Royal Rajputs, Fairmont is nestled amongst the majestic Aravalli hills. The splendid hotel offers the city’s largest convention hall quintessential for your illustrious wedding. With a capacity of 199 rooms and suites, the hotel offers a perfect blend of traditional Rajasthani decor and modern amenities. It’s one of the most favored venues and gets booked out soon, so make sure to block the dates. 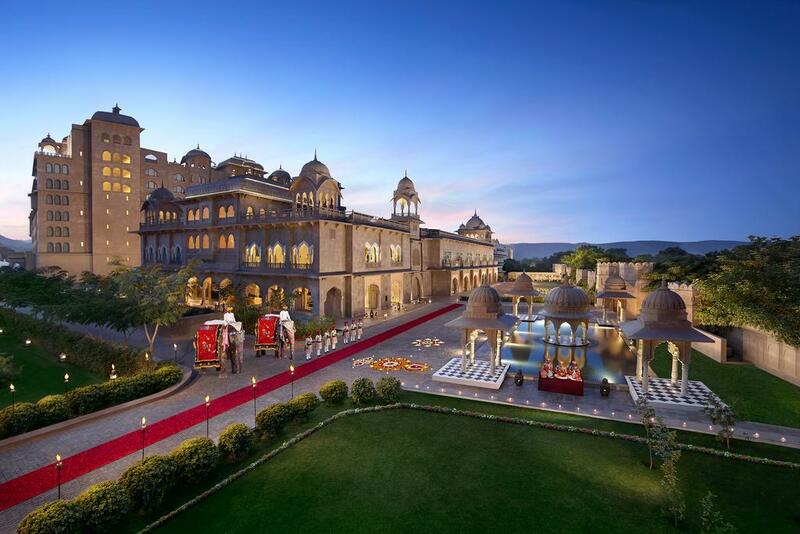 A palatial and awe-inspiring palace of Alsisar stands tall with its lavish grandeur. One can witness the finest Rajput architecture rich of fresco carvings, Rajput hospitality, regal ambience, alluring lawns all rolled into one. The property offers 51 rooms with contemporary conveniences and invites people seeking for a favourable place with expansive paved courtyards to host a royal wedding in Jaipur. It’s also home to the covetable music festival, Magnetic Fields. 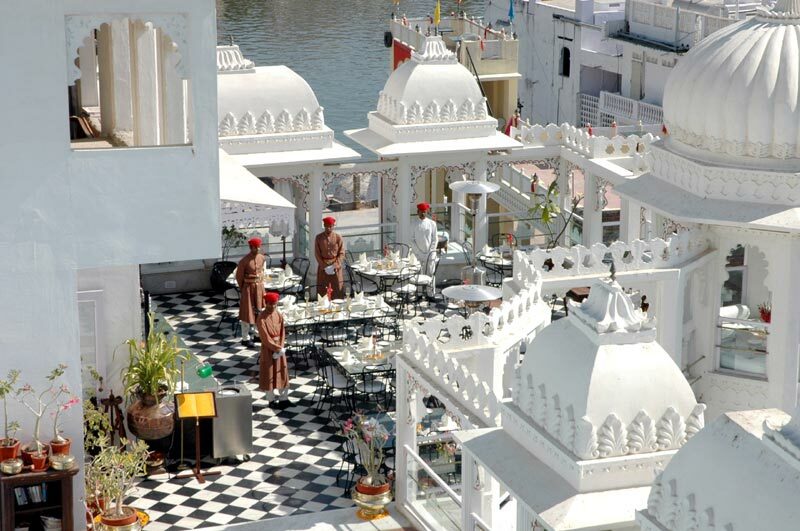 Udaipur -the city of lakes and palaces – is the idyllic wedding destination. The city echoes loads of traditions and amorous love. No other place reflects this more than the beautiful Chunda Palace with a deep customs of the Mewar kingdom. 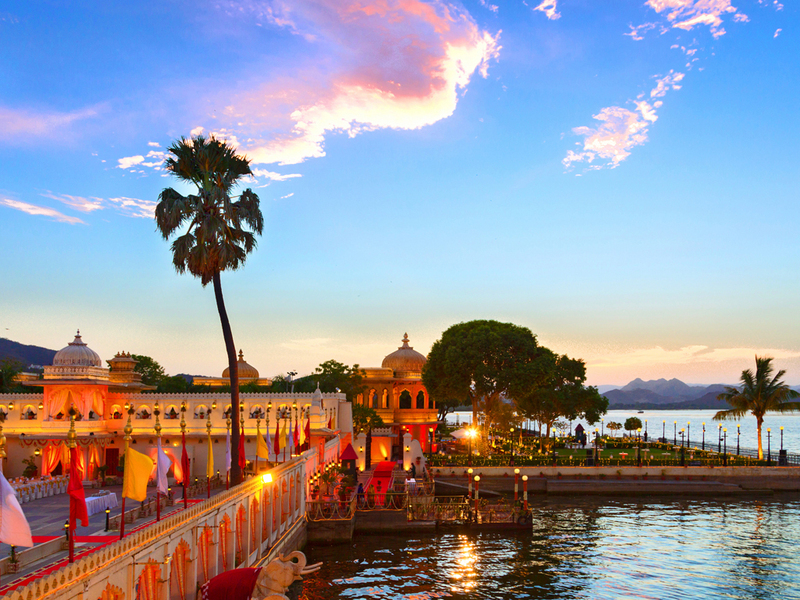 Overlooking Lake Pichola, the palace basks in all its romantic glory. For those lovers about to engage in matrimonial bliss, Chunda is no less than Royalty for your most auspicious day. The regal wedding packages takes care of all the wedding events and every last minute details so all the couple has to do is look forward to the new beginning of their future. 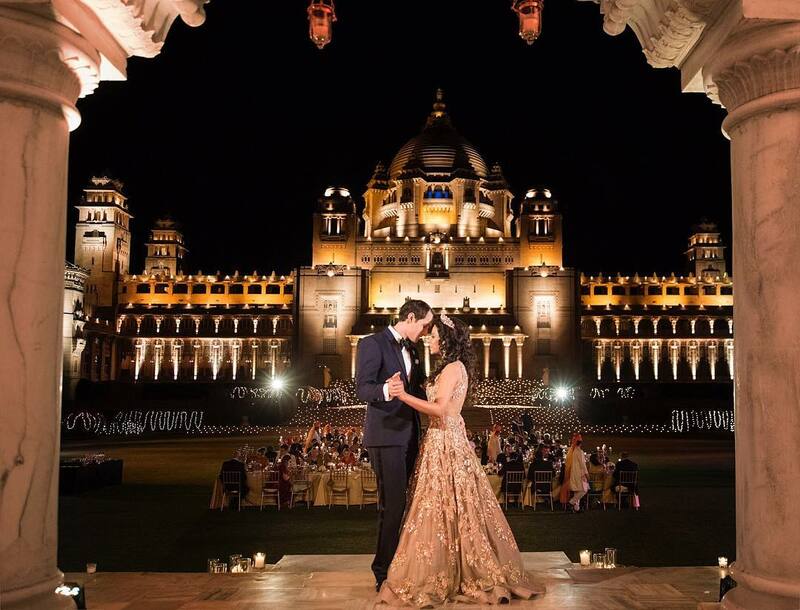 Our very own Fashion Blogger Aayushi Bangur a.k.a Styldrive’s wedding that took place in this palace was nothing short of a stunning majestic affair. 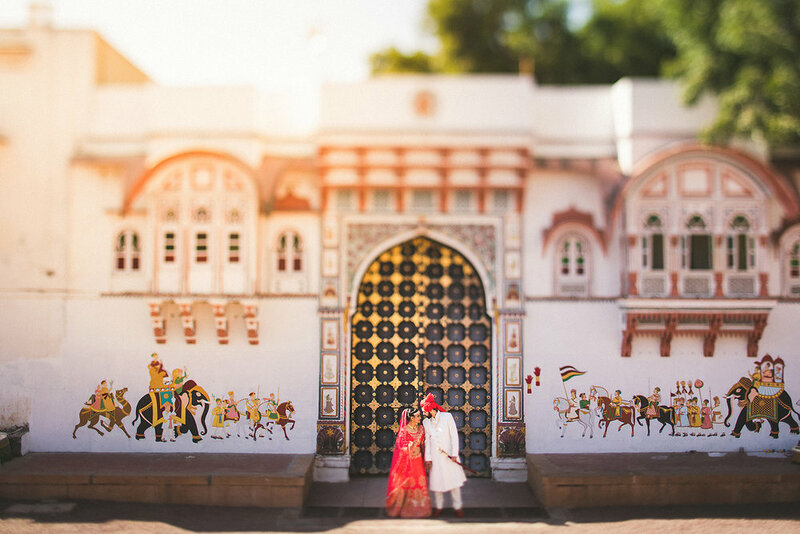 Jodhpur – also known as the blue city – is another Rajasthani city with splendid palaces and forts and Ajit Bhawan palace is one enchanting venue that can make any wedding occasion glittering and grand with its traditional and colourful Rajputana artifacts. If you are thinking of tying the knot here, you will be hard pressed to find a better place. With thirty four individually decorated rooms adding a touch of class, Rohet Garh has set the highest standards in quality and efficiency. The hotel has only 34 luxurious suites so be prepared to invite only few near and dear ones for an exclusive and extremely private traditional wedding. This plush property boasts of the finest kitchens in traditional cuisines and the lush gardens that offers peace and serenity has drawn writers from around the world. 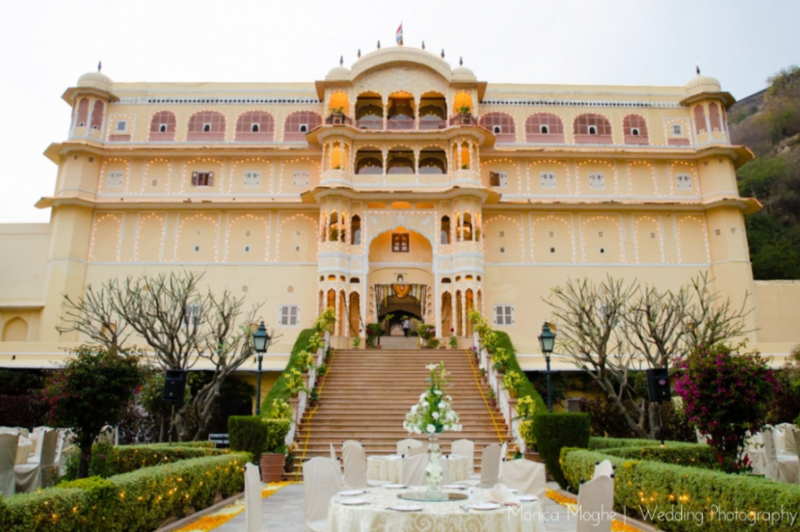 If you are a young couple and you’d prefer to get hitched in a private affair, this old world palace is the place to do it. 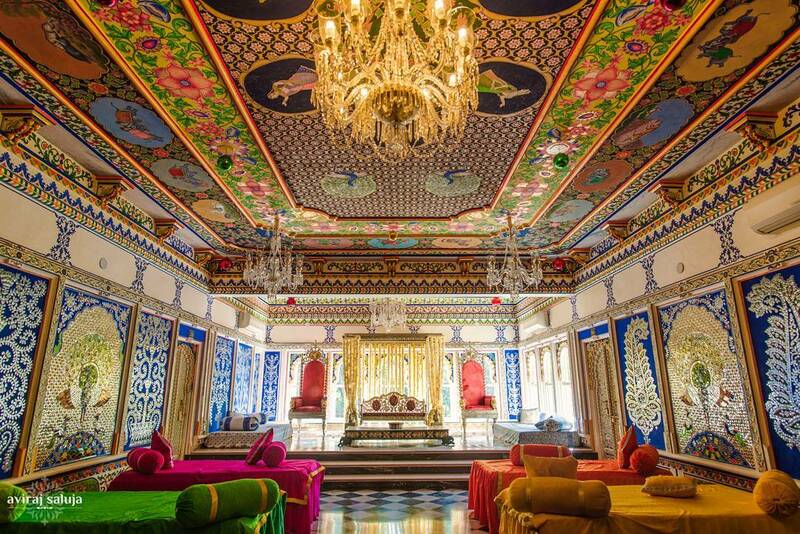 This ancient and mysterious palace is known for hosting some of India’s most gorgeous weddings. Ideal for a sunset wedding with a panoramic view of the sun-kissed sand dunes and a priest performing the rites in vast courtyards under starry skies, you will experience the majesty and splendour of a truly celebratory event of your life. 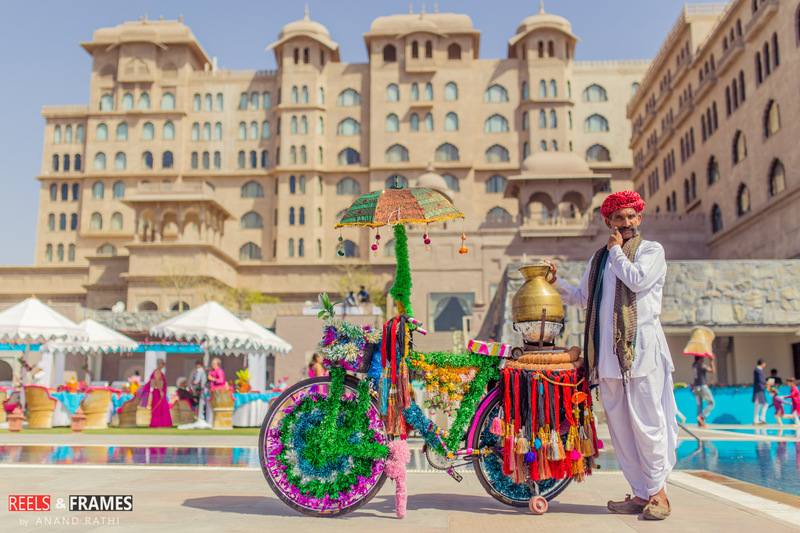 With traditional Rajasthani folk music and candle-lit cobble stonned paths to mark your arrival and festively decorated camels, the hotel strives to make every wish and desire come true to celebrate your wedding. 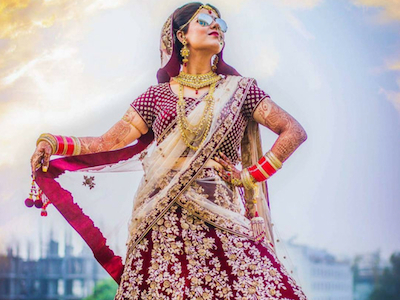 Bridal Inspiration 101: Decoding Shloka Mehta’s Wedding Looks! nice blog. Thanks for sharing the wedding venues which seem even more beautiful & elegant. 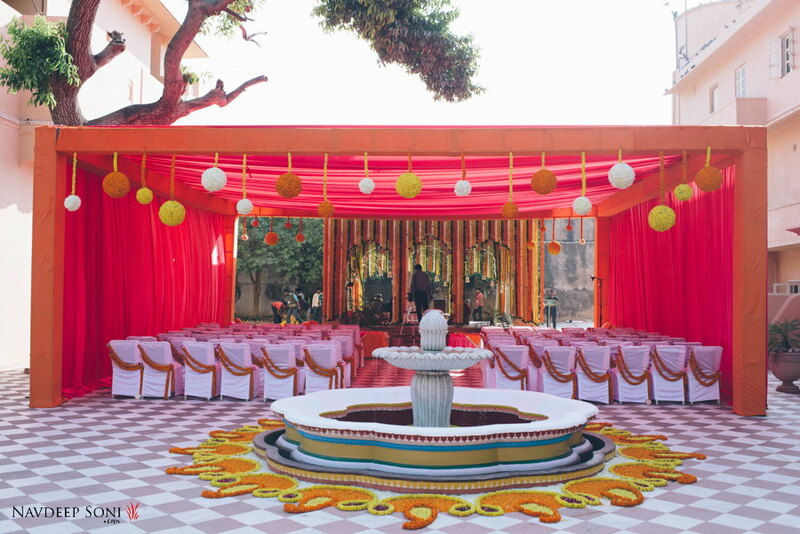 it gives great help to find out the venues to make the perfect wedding in Rajasthan. 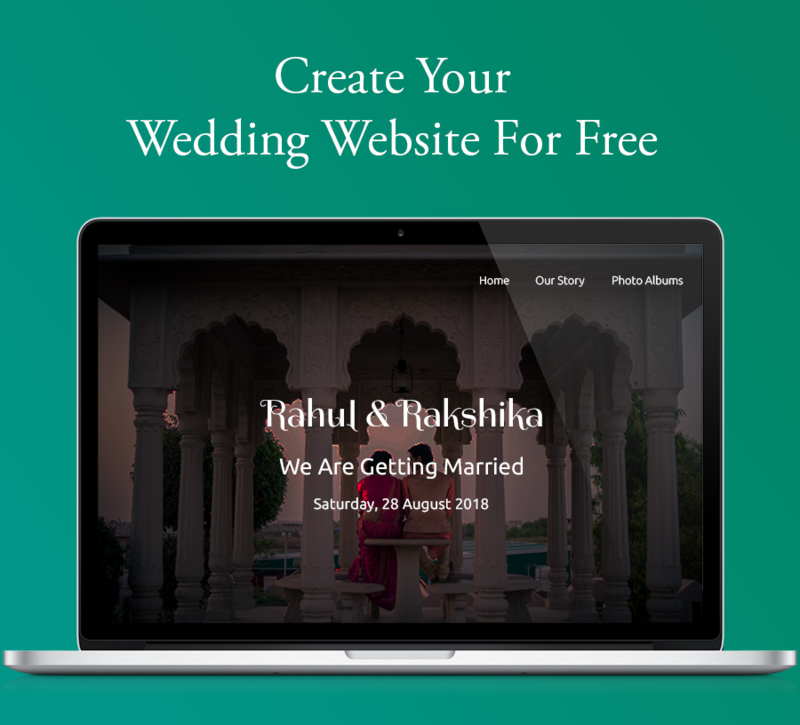 Great blog…I like your blog very much you have shared great information about wedding venues in rajasthan. Great information..